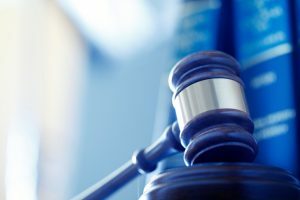 A Financial Industry Regulatory Authority (FINRA) arbitration panel has entered a $300,000 award against Moloney Securities, Inc. and Moloney Securities Asset Management, LLC, of St. Louis, Missouri. The claimants in the arbitration claimed that the Moloney firms breached fiduciary duty, committed fraud, made unsuitable investment recommendations, misrepresentations, were neglectful, failed to supervise their broker(s), breached their contracts with the claimants, and violated various securities regulatory statutes. The claimants’ allegations stemmed from investments in energy and limited partnerships, speculative and aggressive growth securities, and alleged over-concentration in these unsuitable investments. After a week-long hearing, the FINRA arbitration panel ordered Moloney to pay the claimants $300,000 to compensate them for their investment losses, and pay $15,475.00 to cover the FINRA hearing session fees. Moloney’s FINRA BrokerCheck Report indicates that Moloney has had five other customer complaints and six regulatory events since its formation in 1995. If you lost money as a result of an investment which was unsuitable or was misrepresented to you by Moloney Securities Co., Inc., please call the Frankowski Firm at 888.741.7503 or fill out this contact form.